True to form, it's summer and I am checking out too many books from the library. THEY ARE FREE. I am the granddaughter of a woman that as a child read every book in the children's section. It's in my blood. In case you're looking for some words to get lost in, please enjoy. 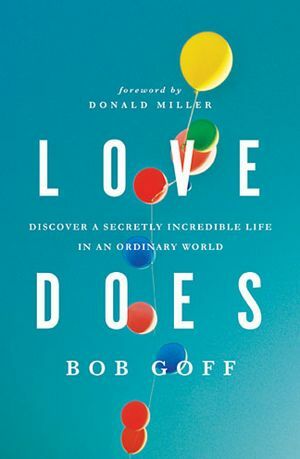 I first heard about Bob Goff when Donald Miller gushed about him. I'm pretty sure that's when everyone heard of him. There's no way around it - he's an extraordinary person. I was challenged by his perspective on life. I was really inspired by the way he didn't settle for ordinary. NOT ONLY does he provide his phone number at the end of the book, but he will absolutely have dinner with you if you asked him. He's unreal. And that's what makes him real. Or something. This was one of those that I DEVOURED. I was on standby at JFK, and I sat in a stiff chair around a bunch of tired flight attendants and read for hours. I loved the way Shakespeare was weaved so organically throughout the story. I really cheered for the characters for the majority of it. I did reach a certain point that I finally just though - okay, girls. GET IT TOGETHER. It petered off a bit toward the end, but it was written well and for the most part it was entertaining. There's language and content I could have done without, and I can't enthusiastically recommend it without letting you know going in to it that you might get sick of the sisters. WHAT ARE YOU DOING RIGHT NOW? GOING TO THE BOOKSTORE TO BUY THIS? THAT'S WHAT I THOUGHT. You guys. This book. Oh, it's everything I admire and envy about the creatives that can write fiction so well. It takes about 60-70 pages to really get into it. You. Must. Persevere. The whole story plays out like a collaborative work of Tim Burton and Julie Taymor. It will be the next story that everyone gets excited to talk about, I think. Good news! It's in paperback, now. There are a bunch of others that I'm currently reading but cannot give a proper review on until I'm finished. What have you read lately that's worth sharing? Have you read any of these? Speak on it. I love posts like this! The Night Circus is on the top of my "to read" list now. Thanks! You will not regret it! Let me now what you think of it once you finish. I want it to be a movie. Like right now. 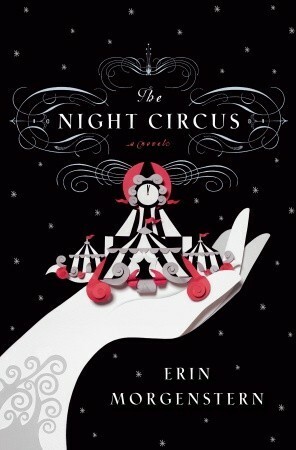 I have The Weird Sisters on my Amazon Wish List & I absolutely LOVED The Night Circus!! It was sooooo good! 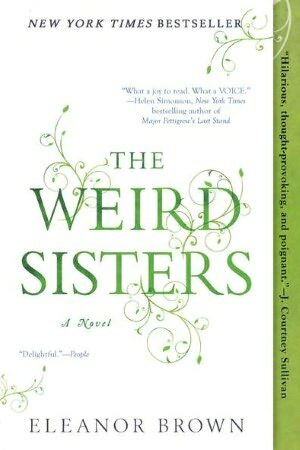 I say get The Weird Sisters from the library if you can. But I could be wrong - you might not have the same hang ups as I did with it. And AHHHH! I am so glad you loved The Night Circus, too! I want to read it again! Thank you for writing this. You are a wonder! I'm always dying to have friends who read tons of books. I have a similar problem in that I cannot recommend many of my favorite books. Best fiction I've read this year: Cutting for Stone. It's raw at parts i warn you now. I definitely go through phases...sometimes I'm reading ten books at once, and sometimes I can't even bring myself to finish a magazine article. I HAVE STARTED IT LIKE FIVE TIMES. You're saying it's worth it? I was looking up half of the words in the dictionary and wondering when it would make sense. But I so desperately wanted it to make sense because I've only heard awesome things about it. How long did it take you to get in to it? OH...hmmm, I think it took me about 5 minutes. I just really love the way he writes. And I guess I've read a lot of Mother Theresa and Amy Carmichael so the Indian Nun elements at the beginning resonated. And the Ethiopia thing rang true as well. It def just didn't turn out how I wanted so friends tell me by the end I was denouncing it. But I look back on it with great fondness. AND-- The Fault In Our Stars. A teen novel that is just really beautiful though written almost entirely in middle class American slang. I'm on Amazon right now buying The Weird Sisters and Night Circus. I'm not sure which of the two I'm more excited for...because they both sound amazing! Thanks for the suggestions! lovelovelovelovelove A Million Miles in a Thousand Years. Will def be reading Love Does. Thank you!!! Stop what you are doing, and go buy All Over But the Shoutin', by Rick Bragg.